Depending on the animal and even the breed, in some circumstances, you may not even be able to enter the country with them. You need to make sure that you have researched this beforehand. You can obtain a passport for your pet, when travelling abroad from the UK. Get in touch with your vet for guidance on how to remain compliant with EU pet travel regulations. 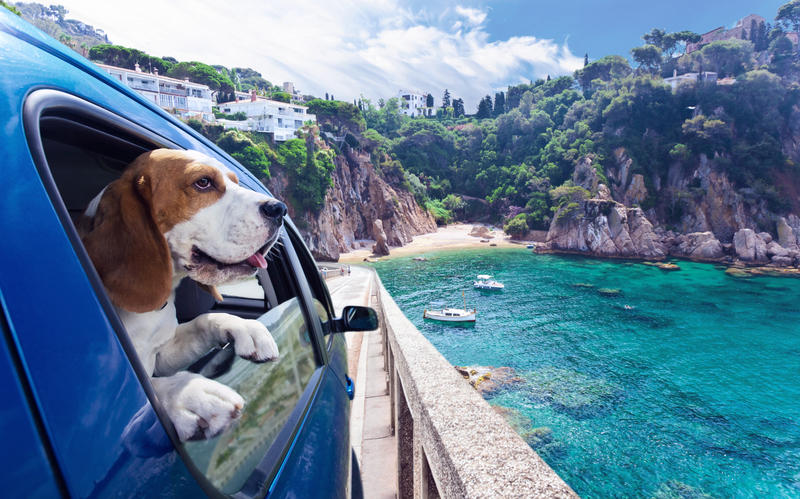 When travelling outside of the country, you will need to be aware of which airlines, airports, ferry routes, cruise routes, rail routes and related companies are approved for pet travel. Guidance on this has been supplied by the Department for Environment Food & Rural Affairs and the Animal & Plant Health Agency. Your pet may be confined for a while, taking into account travel times and queuing to get out of the UK and into the country you’re moving to. Make sure that your pets are comfy! If they are travelling in a cage, you will want to make sure that they have enough space, but also that the dimensions meet the specification of the company you are travelling with. If you decide to drive to your new location via the Eurotunnel or on a ferry, you can pay a fee to take them with you. Some ferries will have pet-friendly cabins available, but be sure to book far in advance. Make sure that you’re prepared, by having all of your pet’s favourite items to hand. If they are in a cage, pad it out with their bed and blankets. Don’t forget to include any toys they like to have around. With this being an unusual situation, having familiar objects around them should help. Whatever the mode of transport, try to ensure that they have fresh air. In stressful situations, it’s important that they stay cool. If you’re travelling by car, plan out your rest stops, so that you can give them some attention and reassurance. If your pet can be put on a lead, then allow them to stretch their legs. You should make sure your pet has a check-up before leaving the country. Research which vets will be available in the area you are moving to, and be sure to check that they are registered. When it comes to pet insurance, as with any insurance, it can be reassuring to have the documents in your native language. It will be worth looking for a policy with a company that provides its documents in English, like we do with our Overseas Property Insurance. This is a tough decision to make, but have you also considered the best option for your pet? Moving them such a long distance could bring about extreme stress, so you need to consider if it may be best to rehome them. Each pet can differ, so there is no set right or wrong answer to this one, you will just have to use your best judgement. But if you do decide that keeping them in the UK is for the best, then ask around friends and family, or even start an appeal on social media, to find them a new home with someone you can trust, in order to make the separation as pain-free as possible. Brexit will no doubt cause a shift in the rules here, along with those for all aspects of travel to and from EU countries. The GOV.UK website advises that you contact your vet for advice at least four months before travelling with a dog, cat or ferret. At this point, it seems highly likely that the UK will be leaving the EU. When it does, it will become a third country and assigned a category. The UK will either be categorised as unlisted, Part 1 listed or Part 2 listed. Being a Part 1 listed country means that your pet must be microchipped and vaccinated against rabies before travel. You must also make sure to apply for the UK pet passport. If the UK becomes a Part 2 listed company, then you will also be required to visit an official vet no more than ten days before you travel, in order to get an animal health certificate, confirming that you have microchipped and vaccinated your pet. Dogs will also need to be treated for tapeworm before they set off, when travelling to EU listed tapeworm free countries. This includes Finland, Ireland and Malta. This entry was posted in Expats, Travel and tagged Moving Abroad, moving abroad with pets, travelling abroad. Bookmark the permalink.